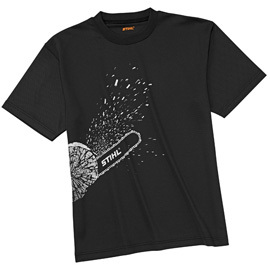 Keep cool and look good while you work or play with this sporty t-shirt featuring an MS 661 C-M graphic. Extremely functional, transports moisture away from the body, breathable, quick drying, odour-neutral. Available in black and orange in sizes S, M, L, XL, XXL.